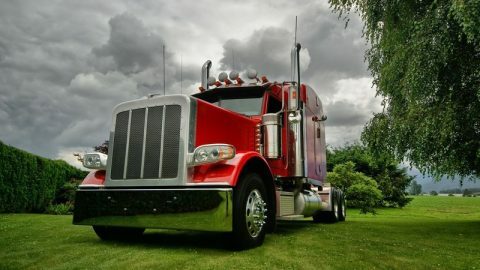 Failing a CDL road test is most people’s worst nightmare especially if they are on their way to securing a decent commercial driving job. Truth be told, a commercial vehicle road test is not like a regular driving test. The examiners will expect more from you in regards to safety and precaution. That means the threshold for passing a CDL road test is a little higher. Hence, if you really want to pass, you have to know what the examiner will be looking for. What will the examiner check on the score sheet? What are the criteria for a pass? Well, the best way to pass the CDL road test with flying colors is to get inside the examiner’s head and see things from the examiner point of view. Don’t Make Silly Mistakes- Examiners are trained to look out for mistakes. You could do everything by the book but 1 silly mistake will get you an automatic failure. It could be a silly mistake like forgetting to check your mirrors before switching lanes or forgetting to signal when necessary. Even hitting the curb or a rolling stop can upset the examiner to give you a fail. Of course, there are obvious mistakes that you don’t need to be told like getting a wreck, running a red light or involuntary rolling backward on a hill. However, there are some mistakes that you can get away with. For instance, making a corner too wide or missing a shift. But don’t push it to the point the examiner think it is too much. As long as you don’t make any grave safety violations, you’re halfway there. Maintain your Composure- Most examiners will not tell you but they asses your demeanor during the road test to know if they will let you pass or fail. Commercial driving is a very demanding occupation. A good commercial driver should not be easily upset or crack under pressure. The examiner knows you feel like your whole life and career depends on whether or not you pass the CDL road test. They want to see how much pressure you can handle. Even if you’re nervous or pissed off at something during the road test, don’t show it. Remain as calm as possible. Talk to your examiner like he/she is one of your friends. Most importantly, act confident and even if you’re nervous deep inside, pretend that you are confident. In other words, fake it till you make it. Know all Backing up Maneuvers- There is no way you can complete a commercial vehicle road test without getting tested on your backing up skills. Just so you know, reversing and parking an 18 wheeler trailer is a lot more complicated than your ordinary car. 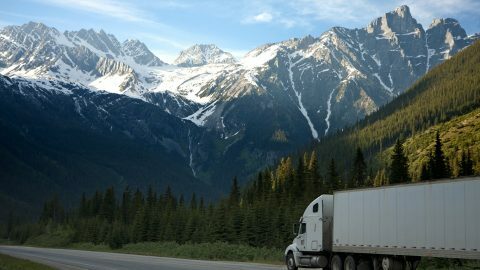 In fact, sometimes truckers are expected to step outside the vehicle and observe their vehicle position when parking. Although you are not supposed to step outside of the vehicle more than twice for every backing up maneuver. During your training, practice alley docking, parallel parking, offset backing and straight line backing until you’re confident you can do it alone without guidance from anybody. If you didn’t get the memo, it would take a miracle for you to pass a commercial vehicle road test without knowing how to do any of those 4 backing maneuvers. Pay Attention- The examiner will closely watch you with a microscope eye to see if your full attention is on the road. Do you observe both sides and check the mirror before making a turn? Do you reverse into blind spots without making sure there is no obstacle behind? Do you put the vehicle in neutral and activate the parking brakes when you get out to observe? Are you driving within the speed limit? Such questions will be running through the examiner’s mind. It definitely helps to exaggerate your movement a little bit. For instance, when you’re observing both sides of the road, make sure you move both your head and shoulders in such a manner that the examiner won’t miss it. Don’t let even the smallest instructions miss your ears for a second! If you have missed it, you can always tell the examiner to repeat the instruction. Don’t just assume, confirm. Bring your ‘A’ game- There is a memorable quote that says a fight is won or lost behind the lines when nobody is watching, somewhere in the gym or out there on the road long before the fighters step into the ring. The same can be said about passing a commercial vehicle road test. 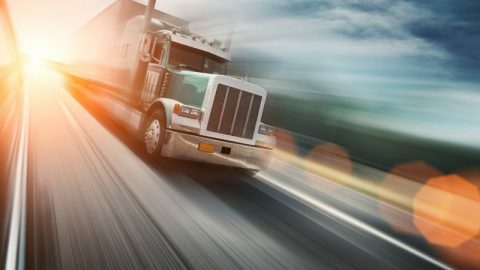 It is the little things that you do before the test like refreshing your knowledge with CDL practice test, getting enough sleep, avoiding stress and having a positive attitude that could determine whether or not you pass that test. Even avoiding too much caffeine, sugar and caffeine could go a long way to help you reduce tension. Whatever you do, make sure you prepare yourself adequately both physically and mentally to bring your ‘A’ game and ace the CDL road test.